Pinamalhan nga Bangus. 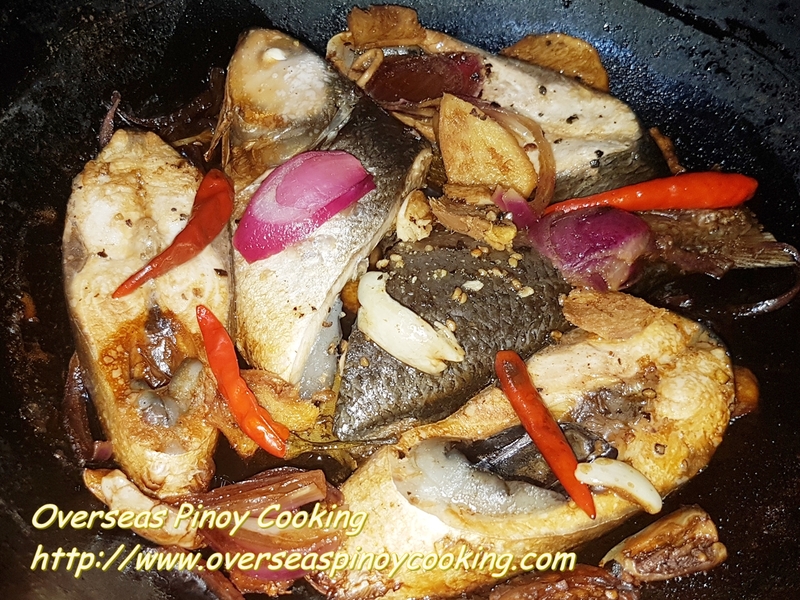 Paksiw Ilonggo style or Pinamalhan nga Bangus is one of the Ilongo dish that I did tried during my recent visit to Bacolod. Pinamalhan nga Isda is similar to Paksiw na Isda, I would say the only difference is that in addition to the usual ingredients of Paksiw na Isda, soy sauce is also used in Pinamalhan nga Isda. 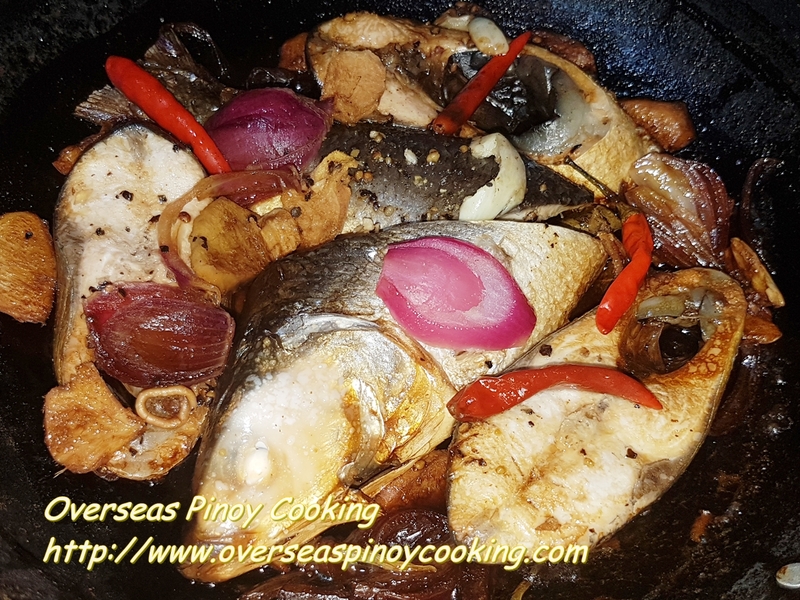 Of course there are countless versions of Pinamalhan nga Isda similar to Paksiw na Isda, each version defends on the availability of ingredients, localities and personal cooking methods. One thing I noticed is that the Pinamalhan nga Bangus that I had on that Bacolod trip was the hint of sweetness of the dish. I suspect a bit of sugar was probably added to counter the acidic taste from the use of vinegar. For my Pinamalhan nga Bangus, I did try to duplicate that authentic Pinamalhan nga Bangus tha I had on that trip. I am not really sure if my recipe is close to the authentic Pinamalhan nga Isda. I just hope that our Ilonggo readers could share their recipe to us at OPC. Okey here is the recipe of my own version of Pinamalhan nga Bangus. In a heavy medium size pan arrange at the bottom half of the ginger, onion and garlic. 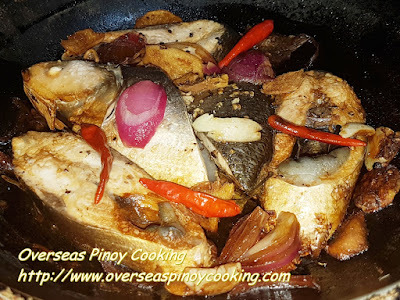 Now lay side by side the sliced bangus over the aromatic ingredients. Add on top, the remaining ginger, onion and garlic. Add in the vinegar, soy sauce, cooking oil and sugar. Add also on top of the fish the red chilies and crushed peppercorns and about 1/2 tsp. salt. Bring to a boil and simmer at moderate to low heat for 15 to 18 minutes or until most of the liquid has evaporated and turned into an oily sauce. Correct saltines if required. Serve with a lot of rice.